Mischief Theatre return to Darlington Civic with a Henry Lewis, Jonathan Sayer and Henry Shields penned comedy in which ‘The Cornley Polytechnic Drama Society’ are attempting to stage J.M. Barrie’s classic tale of Peter Pan. After the hysterical ‘The Play That Goes Wrong’hopes were high for the sequel and the audience were not disappointed. The society have been given a generous donation so they can put on a “proper Christmas children’s vignette” to replace the low budget panto, such as ‘Jack and the Magic Bean’. The show does not start as planned as a much older student, Robert (Cornelius Booth), was having to play young Michael Darling. 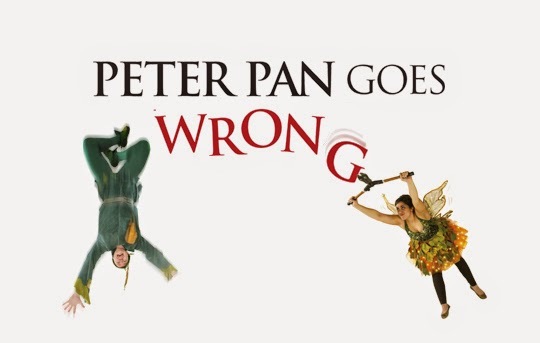 They have the motto that the show must go on – regardless of health and safety violations - and the cast are quickly put through their dangerous paces. They get stuck in doors, trip over toys and struggle to enjoy bedtime – and that’s just in the first 15 minutes. Laughter is a constant sound in the auditorium as the carefully crafted comedy unfolds. 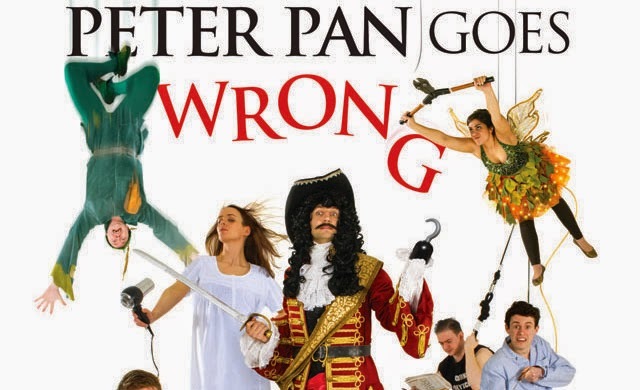 Whilst the first show satirised the murder-mystery, this production salutes the pantos and Christmas children’s shows that take themselves far too seriously. It is suitable for all the family as the wardrobe malfunctions are always funny rather than naughty. It was great to hear both younger and older members of the audience sharing the jokes. Many of the laughs are a result of the actors sticking to a script and not adapting to the fact that something has gone wrong or a prop isn’t available. Laurence Pears plays the role of straight laced director perfectly. Leonie Hill does a great job of overacting the role of Wendy with sufficient charm whilst Naomi Sheldon performs numerous high speed costume changes with aplomb. The underdogs get the audience on their side and the roles of Max (Matt Cavendish) and Lucy (Rosie Abraham) help give the show that panto feel as they regularly get the audience involved in the second half. Rather than repeat the disasters of the previous show, the Kenny Wax produced show has new bundle of problems to challenge the actors and, in turn, entertain the audience. This is a great production that is packed with laughs. It is only February and we may already have seen the funniest show of the year.